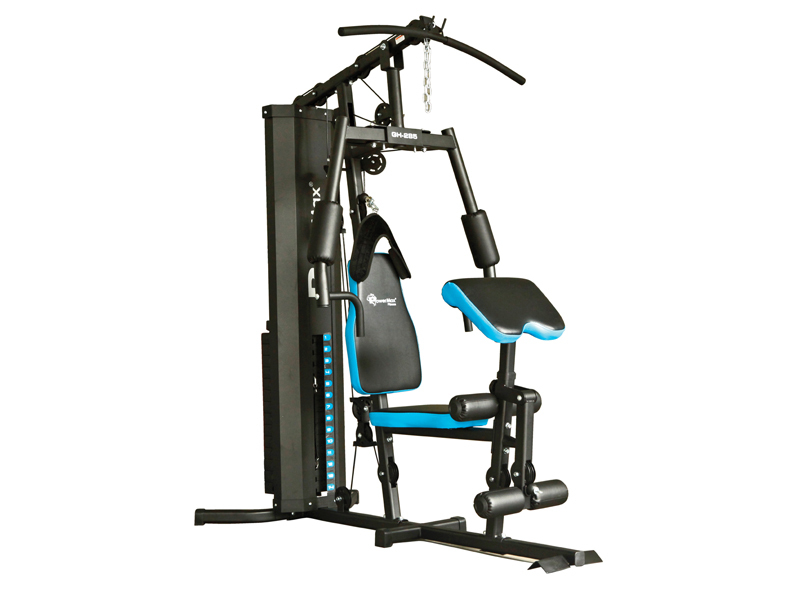 This multi-station home gym provides quality strength training for up to three people simultaneously. 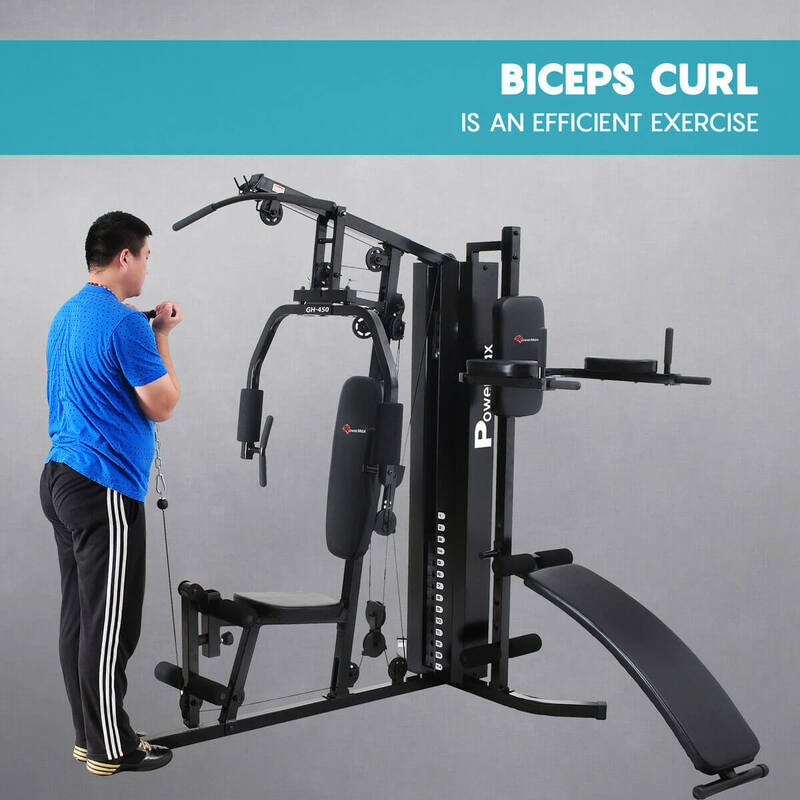 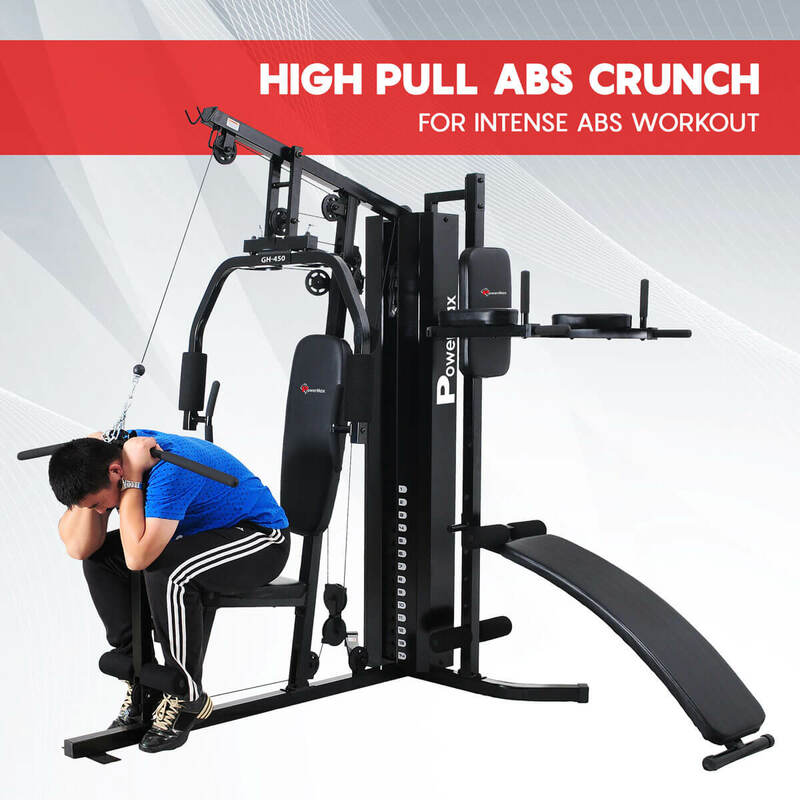 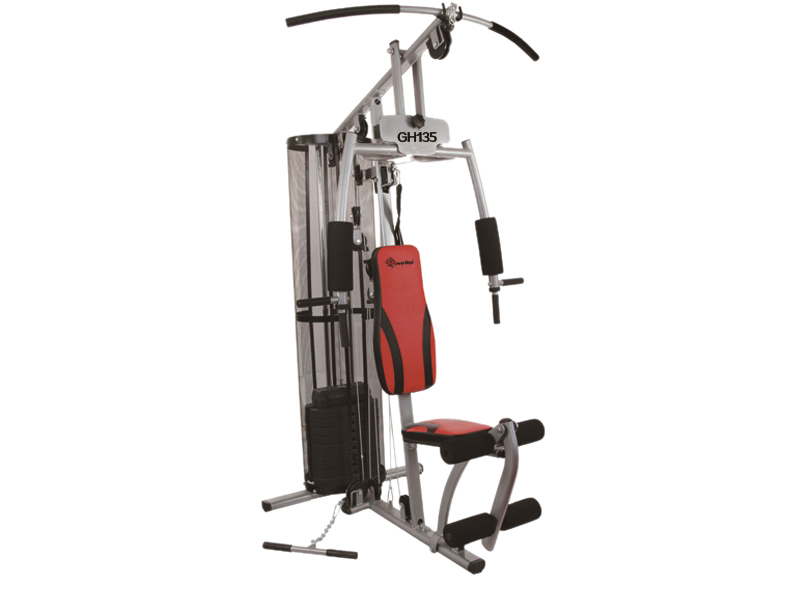 The Multi Station Home Gym features a multi-function Press Arm Station for bench press, and chest supported mid-row exercises. 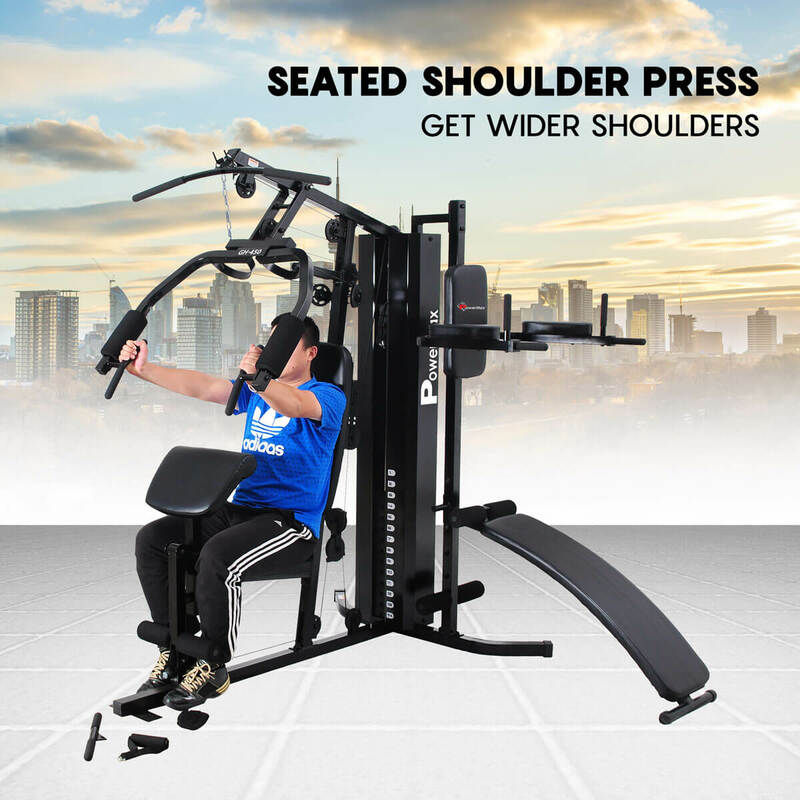 The Perfect Peck Station with range limiters allows users to achieve deeper muscle penetration for faster, more defined results. 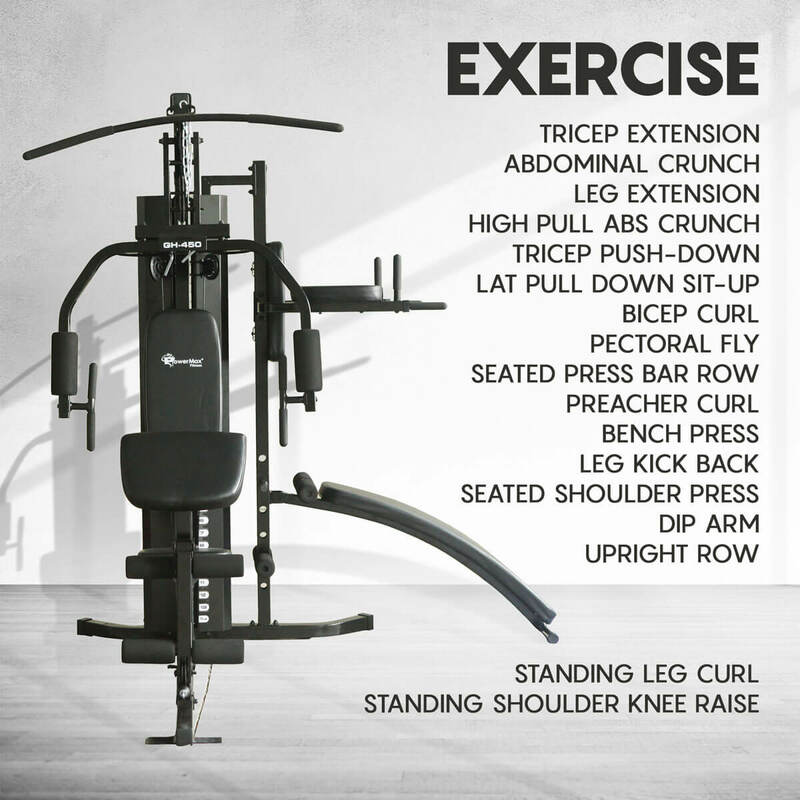 This multi-station home gym provides quality strength training for up to three people simultaneously. 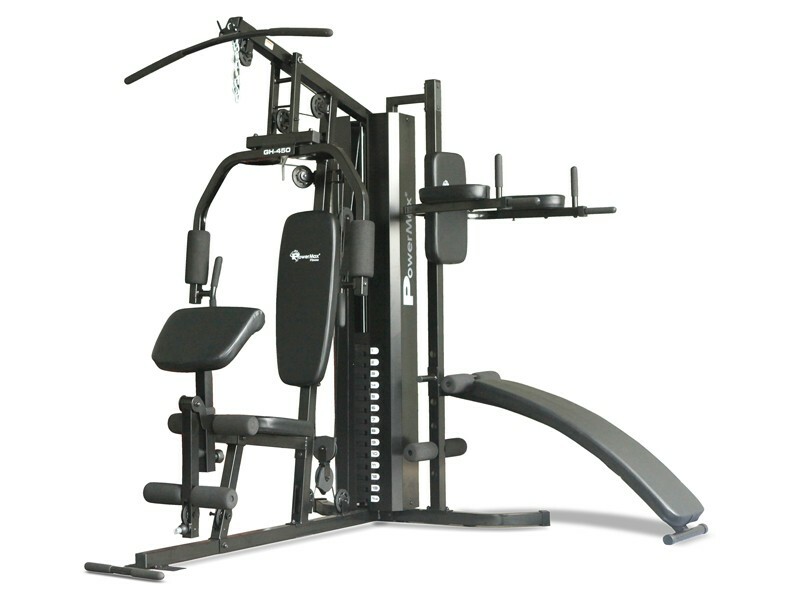 The Multi Station Home Gym features a multi-function Press Arm Station for bench press, and chest supported mid-row exercises. 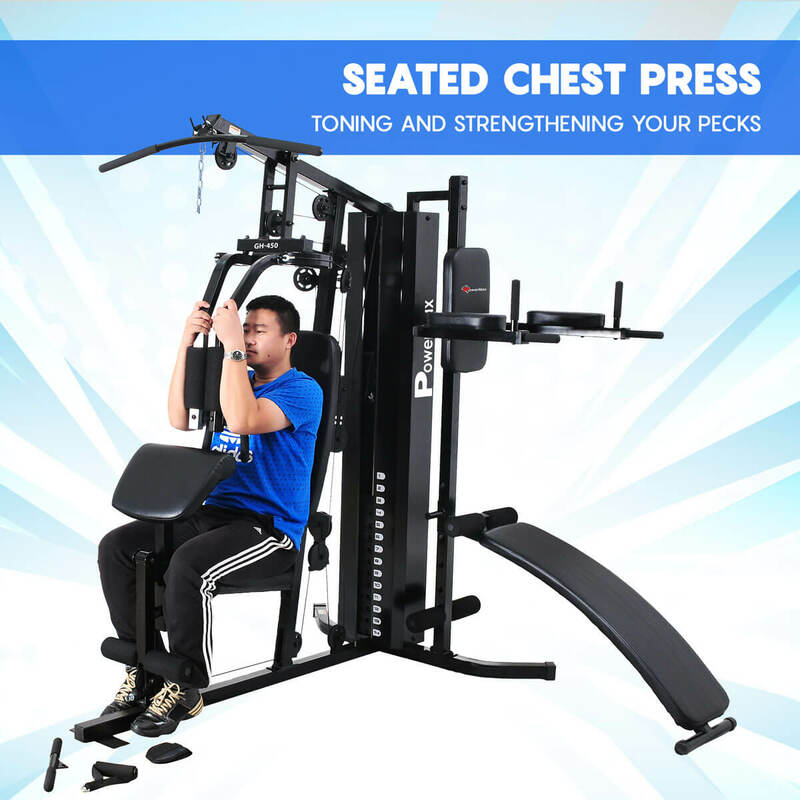 The Perfect Peck Station with range limiters allows users to achieve deeper muscle penetration for faster, more defined results. 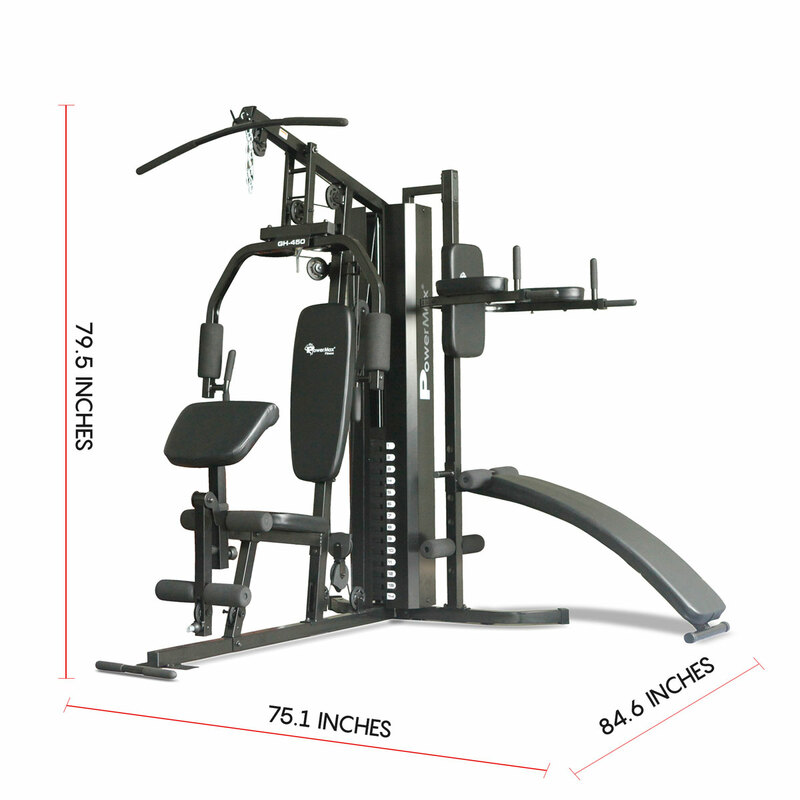 Multi - weight stacks, which means up to 3 people can use the machine at the same time, so you can train with a partner. 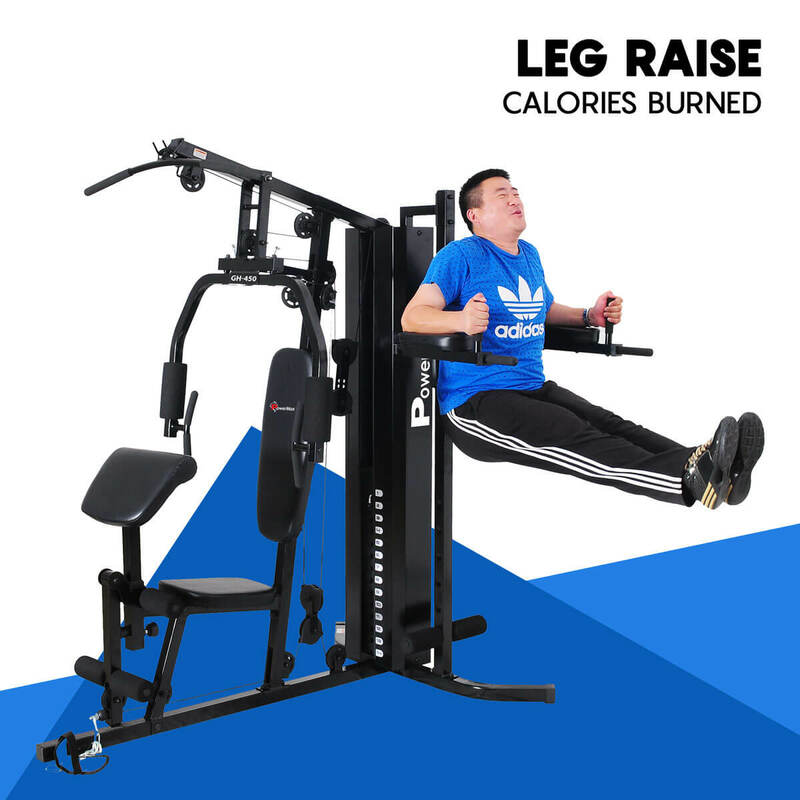 Different exercises can be performed such as: Standing Cable Bicep curls Triceps extensions Squatting rows Abdominal Leg raise station Shrugs Cable Bench press Lat pull down Seated Peck deck Seated leg press Dip station Seated bicep curls Leg extensions Weighted abdominal crunches and many more. 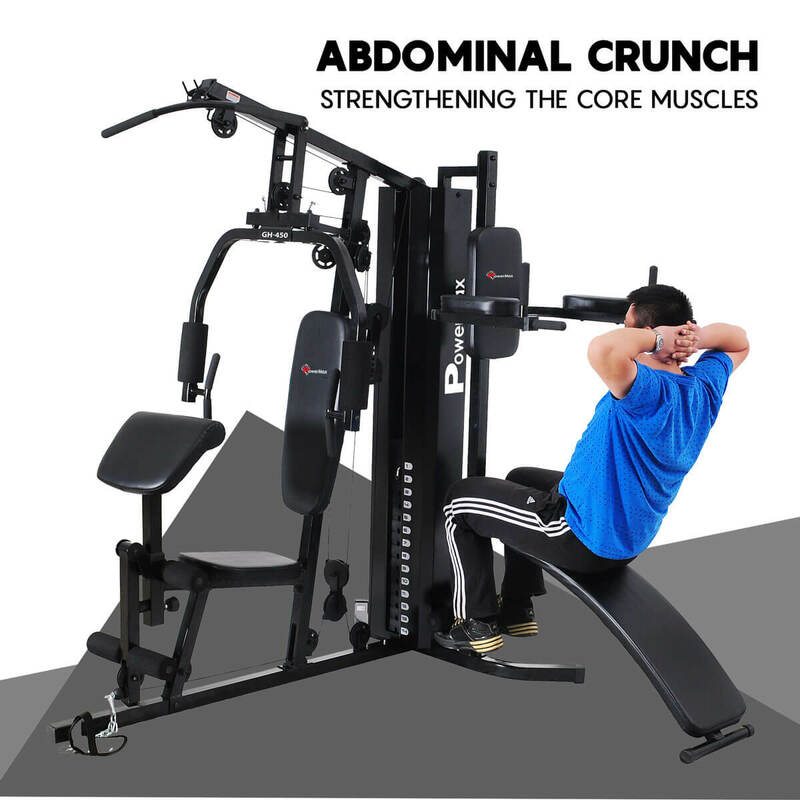 This multi-position machine is durably constructed of steel and provides padding everywhere you need it. 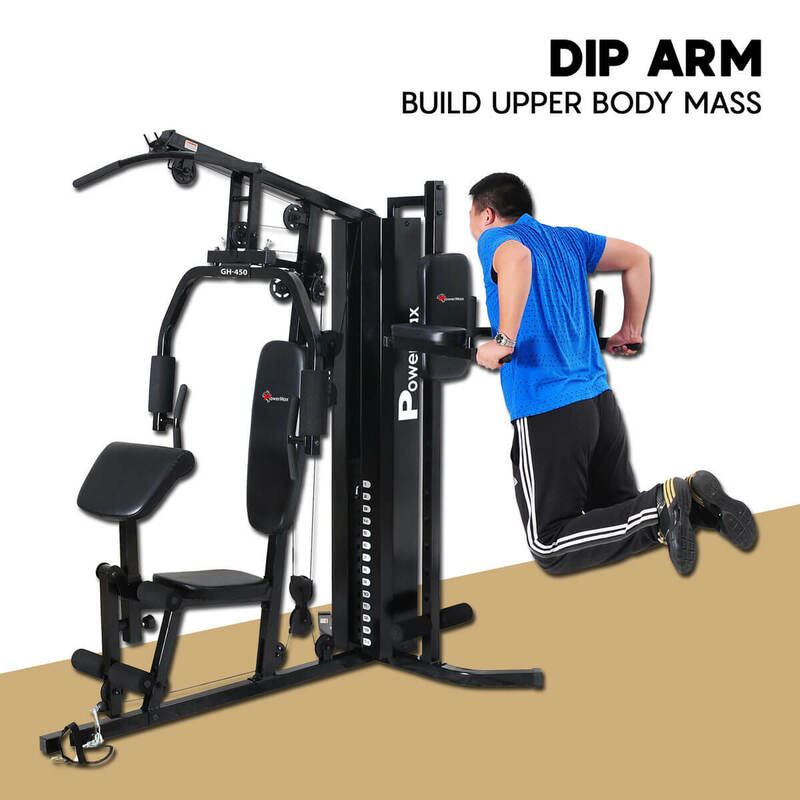 Sand-filled weights allow you to get an incredible workout for your legs, arms, back, shoulders, abs, and more. 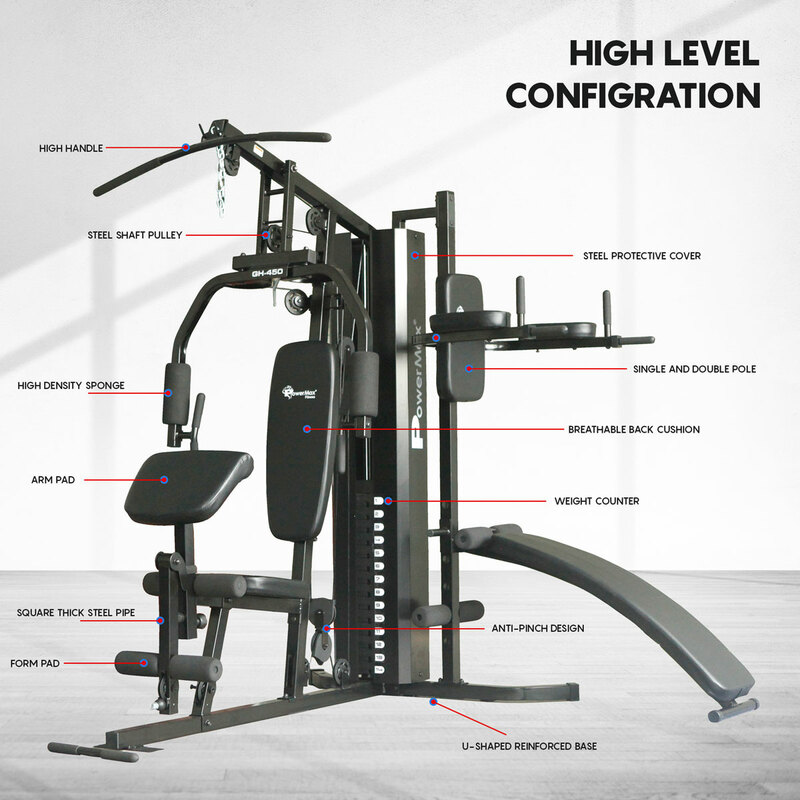 The Maximum user weight that is allowed is 160kgs/352.7lbs. 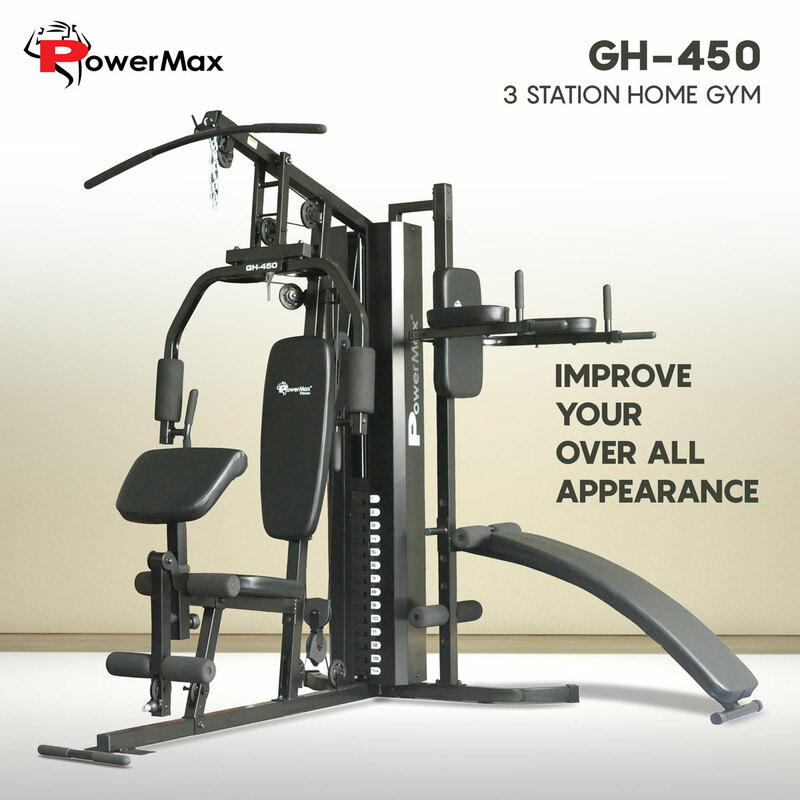 Heavy gauge steel mainframe of PowerMax fitness GH-450home gym gives 2-year limited manufacturer’s warranty on parts.